The State of Women’s Affairs: Address is a meeting of engaged student body members, Gainesville citizens, student organization leaders, campus powers, and city officials. This event seeks to address the current, past, and future climate for woman-identified peoples both on campus and in the larger surrounding area. This dynamic event takes place November 19th at 7pm in the Pugh Ocora (located just north east of the stadium). The event will consist of three central parts: a climate address, an open-mic for attendees, and a “rebuttal” from the leadership panel. This three-part event should provide a safe-space for comments to arise, and for resolutions to be established. The Master of Science in Management (MSM) program is designed specifically for individuals with NON-business academic backgrounds/degrees. Students gain a solid business foundation and strengthen transferable skills to open up advancement opportunities within their undergraduate major field or business sector. The program offers Traditional, Combined (bachelor/master) and Dual Degree (Master/PhD) options. MSM Combined (bachelor/master) students can save time and money by “double counting” credits between the bachelor and master degrees. The information session will provide you with an overview of the MSM program and admission process. You will have an opportunity to meet current students and to learn about their experiences. 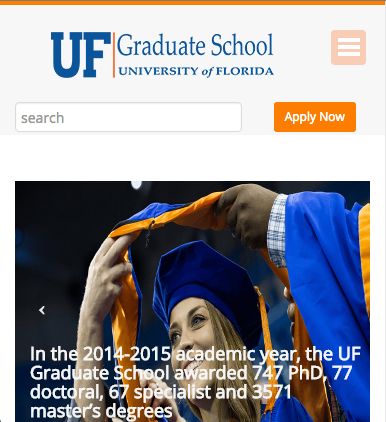 Visit our website for more information: http://warrington.ufl.edu/graduate/academics/msm. Please email MSM@Warrington.ufl.edu if you have any questions. Join ECC for our last workshop of the semester Wednesday, December 3rd at 7PM in the Norman Terrace Room. We will be doing holiday crafts with FEA and KDPi. 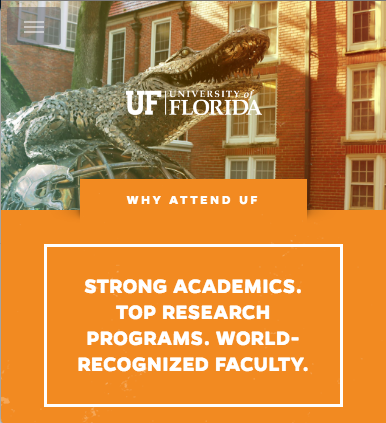 All Edugators are welcome to attend! UF Center for Autism and Related Disabilities (UF CARD) encourages everyone who cares about individuals with autism spectrum disorder to attend our Autism & Safety Awareness event. At the event, participants will learn about strategies to prevent wandering and drowning, and promote fire safety. Vendors will be available to answer questions about these issues. The first 100 families of individuals with ASD who attend the event will receive a safety gear box. Representatives from the following organizations will be present: Alachua County Fire Rescue, Gainesville Police Department, University of Florida Police Department, Swim America, Aquabilities, Project Lifesaver, Triloc, Let’s Go Socialization & Playgroup. 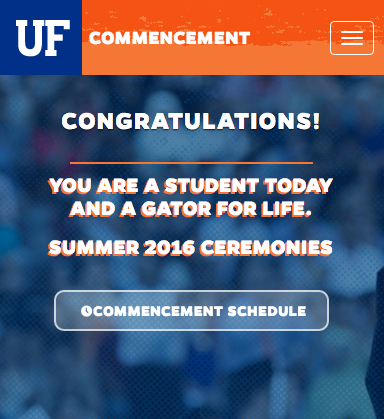 For more information, please call the UF CARD office at 352-273-0581. Karilla Dyer, a senior Public Relations student and part of the UF Bateman Team is working with the team to design a campaign to start a conversation about the affordable housing issue in Gainesville. 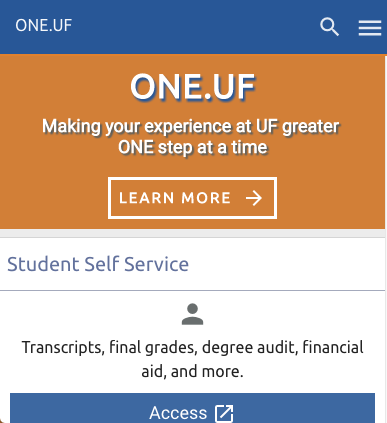 They need UF students to take a brief survey to help develop the campaign. Since this is an issue that sometimes affects teachers, they would really like the input and opinion from future teachers. Attached is a fact sheet to learn more about the campaign. Please complete the survey at https://ufl.qualtrics.com/SE/?SID=SV_29Q9zNtkXlElxZ3. Professional Development and Training right at Your Fingertips at the AERA Virtual Research Learning Center. Also, check out their Funding and Fellowship Opportunities. CPR & 1st Aid training available at a discounted price. Gator CPR is offering a reduced price of $65 for CPR and 1st Aid certification. See www.GatorCPR.com to register and use the promo code “Rossie” for the discount. If you have any questions, please contact Jennifer Wrighton, jwrighton@coe.ufl.edu, 273-4134. Also, if you would like to make a monetary donation, please see your area coordinator or come by 140 Norman and we will do your shopping for you. Thanks in advance for your contribution. Fourth Grade Teacher with El. Ed. certification in a full inclusion setting, grades 3-5. This teacher would be working with a team of five fourth grade teachers who have common grade level planning and work well together. Dual certified El.Ed./ESE teacher in a full inclusion setting for grades 3-5. This teacher would be pushing into classrooms during the reading and math blocks, supporting ESE students and the lowest quartile. If you are interested in a family-type atmosphere, focused on learning and high expectations situated on a beautiful campus, please submit your application at http://www.levy.k12.fl.us/employment. For questions, please contact 352.528.6030. Boulware Springs Charter School is hiring employees for their AFTER SCHOOL PROGRAM. We are looking for people who enjoy playing with kids, who are responsible, who can manage a group of 10-15 students in Grades K-4 on their own, and who can plan or coordinate indoor and outdoor activities for their group on a daily basis. All supplies are provided. The pay is $10/hr and the hours are Mon-Thurs, 3:45-5:45pm and Fridays, 1:45-5:45pm. We are located in NE Gainesville. If interested, please email Megan at meganlane@boulwarecharter.com. Learn more about our school at www.boulwarecharter.com. As a teacher, you will be expected to plan, organize and implement an appropriate instructional program in a learning environment that guides and encourages students to develop and fulfill their academic potential. You are challenged with new teaching methods and educational tools in an ever changing and strategic environment. You will plan, prepare and deliver instructional activities that facilitate active learning experiences and establish and communicate clear objectives for all learning activities. You would utilize technology and integrate the use of technology to provide a variety of learning materials and resources for use in educational activities, instruct and monitor students in the use of learning materials and equipment, observe, evaluate, encourage and provide feedback on student’s performance and development. You will maintain accurate and complete records of students’ progress and development preparing required reports on students and activities. For further information, please visit https://www.hochbergprep.org. For details, please see flyer. Apply at http://www.sbac.edu. Looking for a tutor to assist an 8th grade student at Ft. Clarke Middle School in algebra and language arts/writing. Preferred hours would be weekends between 11am-4pm or alternatively week days between 6 and 8 PM could also work. If you are interested, please contact me (Brandi) at 352 256-7013. Please include in your message the subject you would be tutoring, the times you are available and your hourly tutoring fee. Doctoral student in Agricultural Engineering looking for an English tutor to improve English speaking skills. Will pay $15-20/hour. If interested, please contact 352-888-1043.